MARGARET’S TOP TIP: Set a regular time to work and show up. Don’t discuss new ideas, plots or brilliant insights with anyone. They tend to dissipate when talked about. Don’t try and be your most admired writer. Read, read, read and sort out the wheat from the chaff. And share with your fellow writers. You will make some good friends and share the good times and the bad. Margaret Sutherland has followed a number of careers: nursing, writing, marriage and motherhood and music teaching. These experiences have provided invaluable material for her seven novels and three short story collections. Her early books were well received in Britain, America and New Zealand. Great reviews and competition successes earned her a NZ Scholarship in Letters, two Australia Council writing grants, and first prize in a recent national short story competition. Radio NZ and Radio Denmark have broadcast Margaret’s stories. More recently, she has self-published, on-selling to Ulverscroft large-print. Margaret’s goal in writing is to uncover the small truths at crisis points of everyday life. She writes affectionately about ordinary people who share our hopes, joys, loves and sorrows. Her settings include the languor of the tropics (Fiji, New Guinea), New Zealand (her birthplace) and Australia, a country she loves for its warmth, landscapes and generosity of dimension. Writing about love’s many facets has always featured in her work. Recently she began writing romance. She enjoys happy endings for her lovers, while including children, the elderly and dogs in the stories. Margaret’s next book, to be published by Sweetcravingspublishing in America, will be out for Valentine’s Day and is appropriately titled Valentine Masquerade. Why do you write? I think the urge to write is an inborn thing. It has certainly followed me throughout my life, even when I’ve had years when nothing has been written. I don’t see this as a disadvantage. We must get out and live life in order to write about it. What would you be doing if you weren’t a writer? If I wasn’t a writer, I would be doing what I’m already doing! That is, teaching music, enjoying life with my husband and pets, managing a home, garden, and maintaining a correspondence with friends and family, as I am a NZer. What was your toughest obstacle to becoming published? My first publication came relatively easily. It was when I tried to re-enter the market after moving to Australia that I found standards had changed and my background made no difference. There was a lot of competition, and it has only become harder as time passes. I found self-publishing, fortunately, as it is only this year that I have connected with a publisher for a new line in the romance genre. What’s the best aspect of your writing life? Finishing a book and seeing it between covers and up for sale is the most rewarding moment. —the worst? Making no money, low sales, too much competition, spending time on promotion when I would rather be writing. What would you do differently if you were starting out now as a writer? If I was starting out again, I might be more consistent, I might be more outgoing and self-promotional. I might stick with a genre rather than always experimenting with styles and techniques. I might not take those long breaks to do something completely different. How can I say? I might do exactly what I did! What do you wish you’d been told before you set out to become an author? It doesn’t matter what I might have been told. I probably wouldn’t have listened. PAULA’S TOP TIP: Don’t be put off by rejections. Learn from them and keep writing, while being true to yourself about what you want to write. Paula Boer started her lifelong love of horses when she first rode a pony on a ranch in Canada, aged 7. On moving to England at age 9, she commenced weekly riding lessons and became hooked. Paula’s horse infatuation led to her bedroom being filled with toy stables, posters of golden stallions, horse gear and, of course, horse books. Paula’s writing career started at school where she wrote a story from the horse’s perspective for her final English exam. Combining her love of horses with her passion for travel, she raced the native horses in Mongolia, climbed the heights of Colombia on horseback, and competed in Endurance rides around Australia. She claims the best way to experience a country is from the back of a horse. Although not always on horseback, Paula has travelled in 60 countries on six continents. 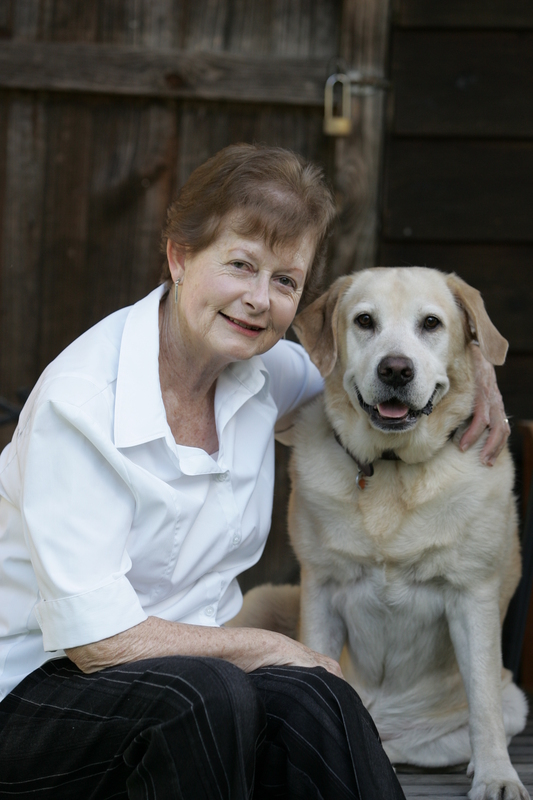 After retiring from the hectic life of computer consultancy, she wrote her first novel, The Okapi Promise, based on her adventures in Africa in 1990. This fictional memoir was published by IFWG Publishing in November 2010. From her own experiences of catching and breaking in brumbies, Paula decided to set her next novel in the Snowy Mountains of New South Wales. The Brumbies series was created, with the first book of five becoming an Amazon ‘Best Seller’ in 2012. Paula is a regular contributor to horse magazines. 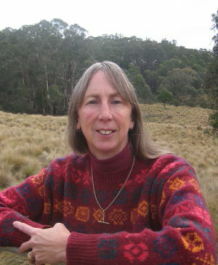 She has also had numerous short animal stories published in journals in the UK. Paula lives on 500 acres in the Snowy region of New South Wales, Australia, with her husband, three retired horses and a stick-loving dog. Why do you write? I started writing to capture my memories, thinking that when I became too old to experience adventures first hand, I could read my stories and remember the great life I’d led. Once I started, I found I needed other people to read my stories, primarily to share my travels, but also to help me polish my writing skills. This is how The Okapi Promise, my debut novel, came about. As it turns out, soon after having my first book published, I had to give up my lifelong passion of horse riding for health reasons. Now I write horse stories that give me the opportunity to re-live those moments in the saddle, the smell of hot horse, the sound of breathing in rhythm with a powerful canter, the close bond one builds with a trusted equine partner. Writing the Brumbies series fills the void in my life that used to be filled with horses. What would you be doing if you weren’t a writer? If the definition of a writer is someone who writes, then this question is really “What would you do if you could no longer write?” One of my nightmares is losing my vision—I have wondered if I’d be able to use voice recognition and speech software to continue writing. Or what if my arthritis became so bad I could no longer type or hold a pen? That would also preclude me from playing piano, the other part of my life that fills my days. Simply put, I don’t know what I’d do. The thought scares me. What was your toughest obstacle to becoming published? Becoming published, for me, was not tough. I was extremely lucky to have my debut novel accepted by the first publisher I submitted it to. However, getting it ready to submit was the tough part. I went through many painful lessons at writing workshops, even being brought to tears at times while learning how to develop a novel. After completing a full manuscript, I suffered through several assessments which tore my self-esteem to bits. In hindsight, it was all wonderful advice, but oh, the pain at the time! Learning to take critique as constructive, not criticism, has probably been my hardest lesson. What’s the best aspect of your writing life? Hearing from readers that they love what I write, especially young aspiring horse riders. —the worst? These days, the worst part of writing is the inevitable marketing that comes from wanting to be read. Gone are the days when the publisher organised copious events and interviews, at least for mid-list writers like me. Time spent marketing detracts from time spent writing. It is a hard balance to get right. What would you do differently if you were starting out now as a writer? I don’t believe there is an easy way to learn the craft. The important thing is to be constantly challenged; to write outside one’s comfort zone. I would like to have read more widely, not only books I found entertaining. Having left school at age 15, I don’t have any classical training. I think that undertaking a creative writing course, or a literature course, could have been useful. What do you wish you’d been told before you set out to become an author? I didn’t set out to become an author, per se. What I would have liked to have known, before many of my travels, was that I would want to write about them eventually. I would have written more extensively in my journals, and kept diaries of characters I met along the way. I would have paid more attention to seasons, flora and fauna, architecture and local customs. I would have taken more photographs and jotted down ideas for plots. Now I am never without a pen and notepad. What’s the best advice you were ever given? Every scene must move the plot forward. If something doesn’t contribute to the plot—character development as to why someone will act in a certain way, backstory to provide a clue, information that enables the reader to understand certain implications—take it out. I work from an outline that guides me as to what I want to achieve in each scene. When I have completed the first draft of a manuscript, I go back and write down what every scene achieves. If I can’t easily identify the point of a scene, I have to rethink why it is there, and either rewrite or discard those paragraphs. We often make the mistake of thinking that we ‘have’ to be in the ‘right’ mood to write. The truth is, any mood can be used for writing. Any mood is a good writing mood. The trick is to simply enter whatever mood like a room and sit down and write from there.